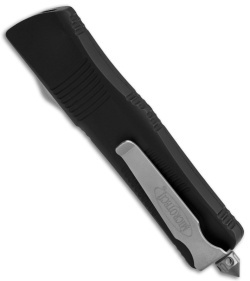 The Troodon handles are black anodized T-6 aluminum with grooves for added grip-ability. 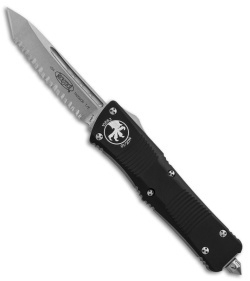 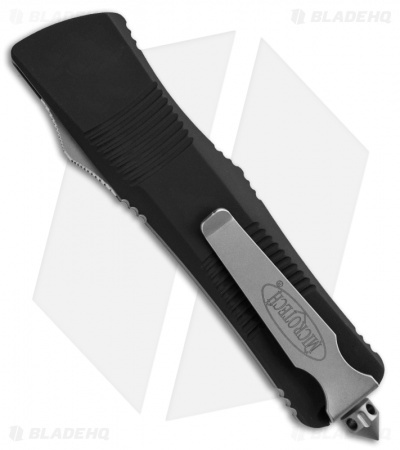 The tanto style blade is Elmax steel with a stonewash finish and a fully serrated edge. The knife includes a pocket clip and glass breaker.